Coast Guard officials received a call for help on 8:30 p.m. on Tuesday, June 13. The captain of a 26-foot craft reported that his vessel was taking on water. Two people and four dogs were on the ship when it began to sink. The incident happened east of Point No Point in the Puget Sound. An air crew arrived at the scene at approximately 9 p.m., with a boat crew arriving shortly afterward. A Victoria Clipper was in the area and stood by to assist. A rescuer climbed onto the sinking vessel, found a hole in the stern, and plugged it. Water was then drained from the vessel and the boat was towed to the Edmonds Marina. No injuries were reported in this incident. With warm weather finally returning to the Pacific Northwest, boating season is beginning. Many inexperienced boaters may be taking to the water in vessels they haven’t properly maintained or can’t safely handle. 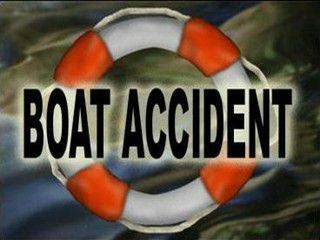 A report by the United States Coast Guard found that in 2016, recreational boaters were involved in a total of 4,463 accidents. 701 people died in accidents involving recreational vessels. 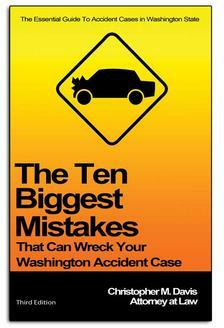 The total number of accidents rose 7.3 percent from the previous year and the number of deaths increase by 12 percent. The majority of deaths happened on boats where the operator had received no instruction on boating safety; only 13 percent of deaths happened on vessels operated by a person who had received a nationally-approved boating safety education certificate. Eighty-percent of the victims of fatal boating accidents drowned. Of those victims, an estimated 83 percent were not wearing life jackets at their time of death. The top causes of accidents were collision with another recreational vessel, collision with a fixed object, flooding/swamping, grounding, and capsizing. Operator inattention and operator inexperience were the top two primary contributing factors in accidents. Fortunately, it’s not difficult to enjoy boating safely. The Coast Guard estimates that many accidents involving serious injuries or death could be prevented if boaters took just a few simple steps. Never combine boating with alcohol. In accidents involving serious injuries and fatalities, alcohol is a factor that’s all too common. In Washington state, operating a boat under the influence of alcohol is a crime, but enforcement is sporadic and authorities often aren’t aware of the issue until an accident has already happened. Alcohol consumption can reduce a drinker’s ability to make good decisions, increase their reaction time, and make it difficult to judge appropriate speed and distance while operating a boat. Wear a life jacket. They may not look cool, but they save lives. Eighty-three percent of drowning victims weren’t wearing life jackets; a simple properly-fitted floatation device could have saved their lives. Life jackets are especially important for anyone who’s planning to head into open water or swiftly moving water. Get a safety certification if you need one. If you’re operating a large sailboat or motorboat, it’s a good idea to get safety certified, even if you’re not legally required to complete the certification. If you’re renting or buying a boat, consider your level of experience. Don’t get stuck with a boat that you can’t safely operate. Davis Law Group, P.S.’s award-winning team of boat accident attorneys has represented severely injured boating accident victims in Washington state. If you have any questions about accidents involving recreational or commercial boats, you can speak with our legal team at any time by using our convenient chat feature, visiting our contact form, or calling (206) 727-4000.